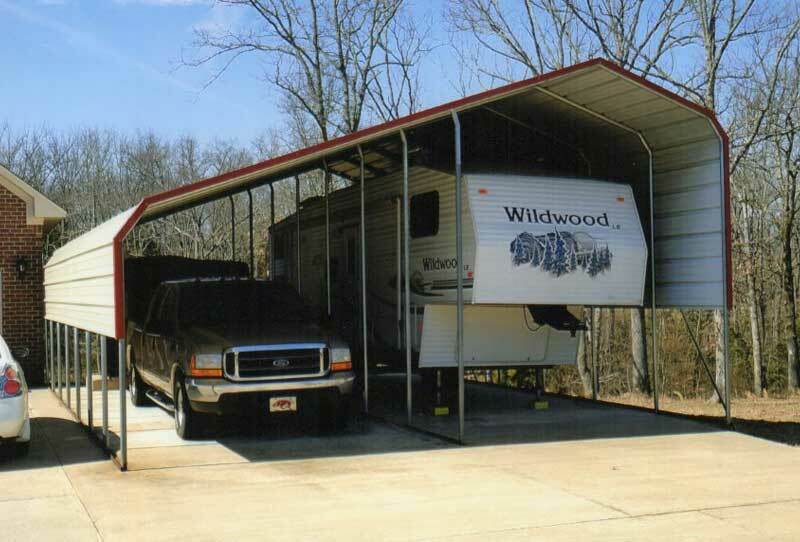 All carports can be raised or lowered to fit your need. Additional sheeting can be added to enclose sides and ends. Additional sheeting can be added to enclose end wall. 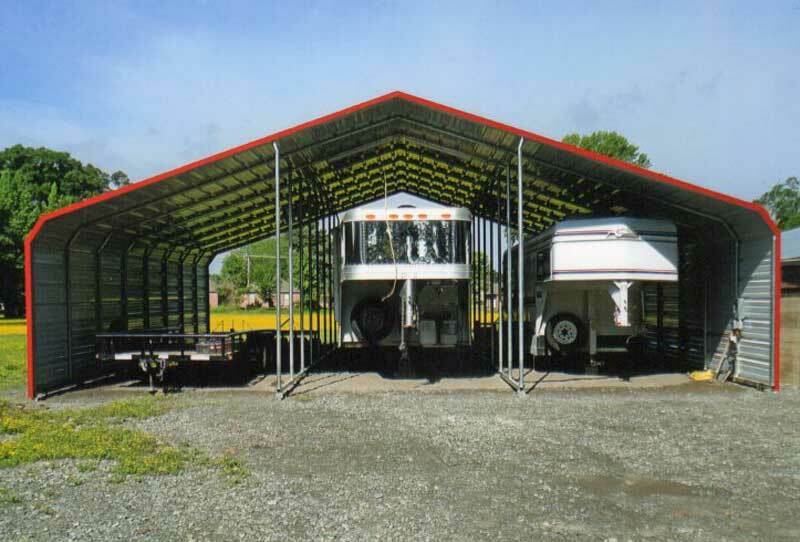 24 ft wide comes with full gable crowns and trim. Made for camper or tall vehicle in center and two other vehicles. Heights can be raised at additional charge. End wall can be added. Side stalls can be enclosed. 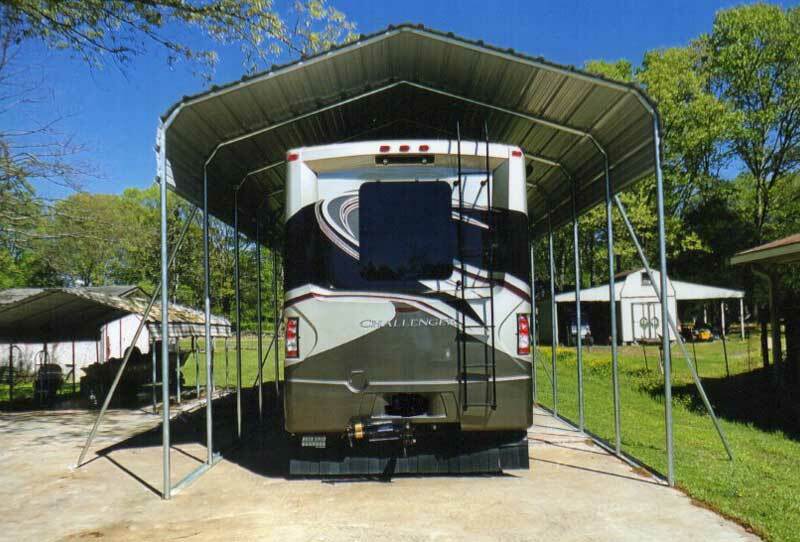 Designed for camper, vehicle and enclosed storage. Widths can be modified to fit your needs. Height can be raised at additional charge. Enclosed side stall includes 9 x 7 door. Designed for your RV and a vehicle, boat, etc. on the side. Features a 13 ft peak height in the tallest stall and 7 ft on the side of the shortest stall. Can be raised further, if needed. 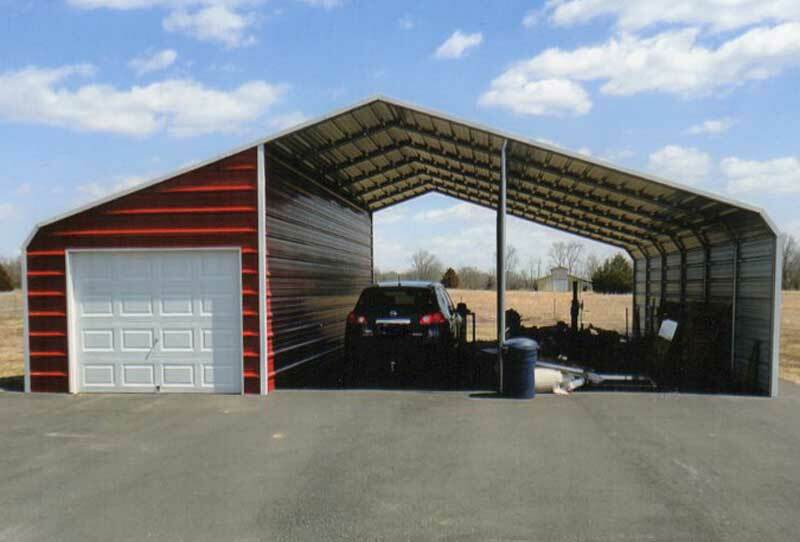 Can be partially or fully enclosed for an additional charge. Center poles can be shifted for slide outs. Can be modified for slide out by making storage smaller or parking wider.